Diversified energy utility AGL has swooped on troubled electricity retailer Australian Power and Gas, with an agreed takeover bid at 52 cents a share, a 33 per cent premium to the share price. Before the agreed offer, Australian Power shares were trading at 39 cents, which valued the company at $75 million. AGL has bought a 19.9 per cent stake in the target which gives it a strong position from the outset. With an estimated 350,000 customers Australian Power and Gas ranked as one of the largest of the second tier electricity and gas retailers in the market, although weak energy demand and high energy prices had combined to push the group into the red due to rising bad debt levels. The group recently flagged a year to June net loss of up to $5 million, and it told shareholders the year ahead would be a period of consolidation as it sought to overcome its trading difficulties. At least one small cap fund manager had bought heavily into Australian Power in recent months, valuing the company at more than 60 cents a share in a takeover. 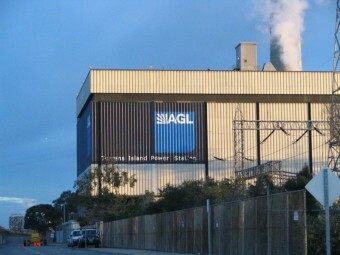 AGL has been engaged in a bitter battle with Origin Energy and EnergyAustralia to lift its share of the national electricity and gas markets. Its rivals had taken market share in the key NSW market following their earlier purchase of NSW government assets, which prompted AGL to push hard to lift its share. The acquisition comes as AGL is considering bidding to acquire power generation assets from the NSW government, with most interest centred on a potential acquisition of coal power stations from Delta Electricity.